You are at:Home»Blog Posts»The Future Dogs of Sundance: A Martin or A Pepper? Could Be! The Future Dogs of Sundance: A Martin or A Pepper? Could Be! There were so many aspects of the Sundance Film Festival to enjoy, not the least of which was the fun of searching for what we called the “Dogs of Sundance.” Whether it was at the airport, at the hotel, in the streets, on the screen or at the events themselves, we were richly rewarded. 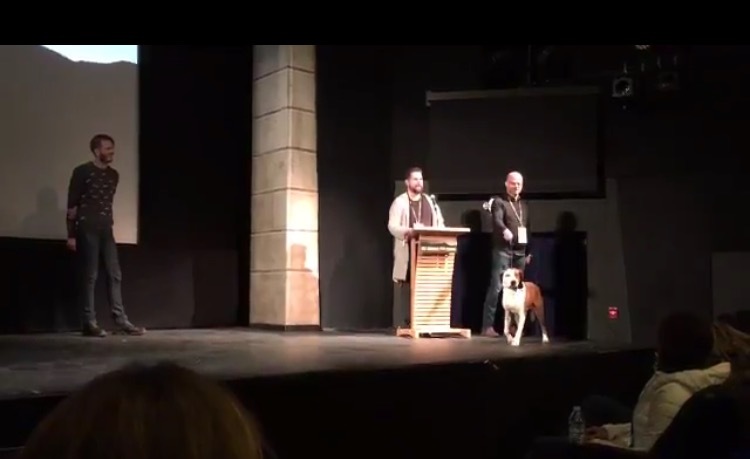 Ned, who plays Martin in Downward Dog, making an onstage appearance at the Sundance premiere. Screenwriters Michael Killen & Samm Hodges totally “get it” about our love of dogs with the upcoming ABC series Downward Dog. While our prior work with veterinary behaviorists leaves us not too happy with how behavior training is portrayed, the human-animal bond transcends those concerns of the moment – hopefully future segments will capture a more positive tone. For us, the creators capture just the right tone of voice for a philosophical talking dog Martin (known as Ned off-screen, a rescue dog from Chicago). Martin is a typical “every person’s dog” for Nan, a creative millennial, for a delightful series that we wish was on the network sooner than later. We are plugging for it to make it through the summer season. We were delighted by the unexpected role of Pepper, Woody Harrelson’s beloved dog in Wilson, directed and written by Taylor Sheridan. 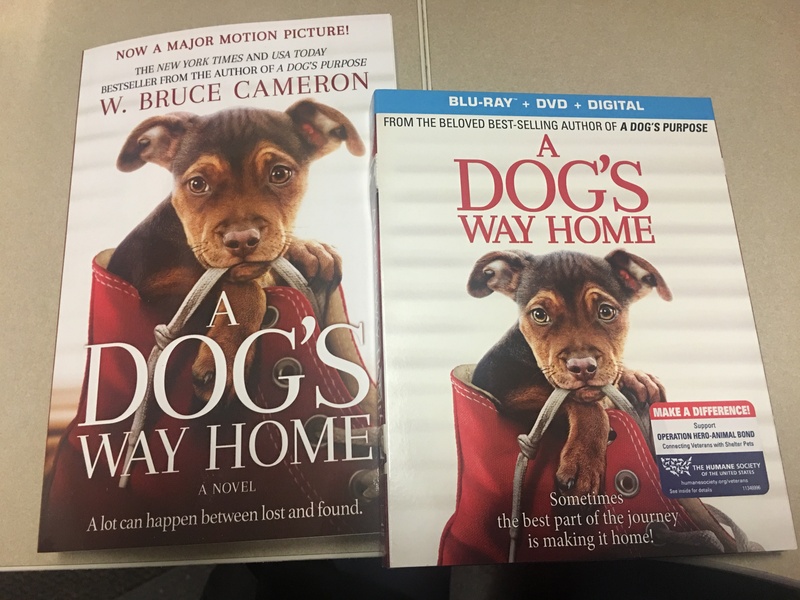 Harrelson plays a lonely, neurotic, yet hilarious middle-aged dog lover who reunites with his estranged wife, Laura Dern and gets a shot at happiness when he learns of a teenage daughter he never knew. Eternal happiness was not to be, but the human-animal bond message shone through in multiple scenes with Pepper and other pets, including a touching farewell to Pepper. Rancher, Farmer, Fisherman, one of 14 films part of the Sundance Film Festival’s New Climate section showed a rancher’s beloved cattle dogs. Directed by Susan Froemke & John Hoffman, the film depicted the new heroes of conservation, deep in America’s heartland. Now on to future Dogs of Sundance. Will we see a Pepper or a Martin next year? We hope so and more by the audience reaction – including us. Depicting our beloved dogs in the special human-animal bond context is a wonderful sight to behold. We could all use a little bit more of this kind of loving depicted right now. 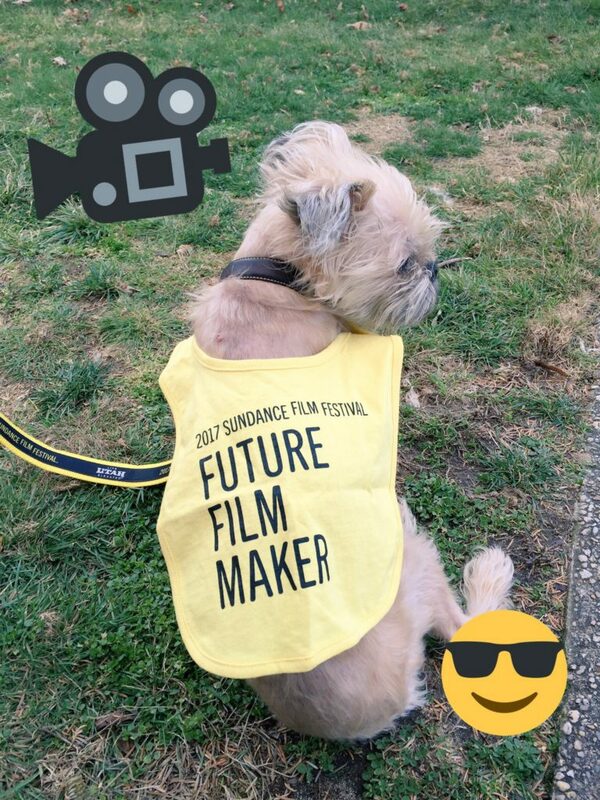 For now, I know Sundance had an impact on one Goodnewsforpets staffer… or rather her pooch who now fancies herself a future film maker.